Lobstar is a unique lobster and steak bistro with a sense of casual cool, located in heart of Monkstown. Winner of Best Seafood Experience in Leinster by Good Eating Guide, their aim is to provide great gastronomic experiences through remarkable food and excellent service in a very relaxing and funky environment. Head Chef and Co Owner Zsolt Zakar has devoted the last sixteen years of his life to creating dishes and getting himself acquainted with a variety of special ingredients. He has had the privilege to work alongside and learn from amazing chefs and is able to now pour that experience and knowledge into a passion of his own, creating truly authentic food. They are passionately committed to offering the freshest, greatest ingredients and to presenting a seasonal menu that is locally focused and globally artistic. 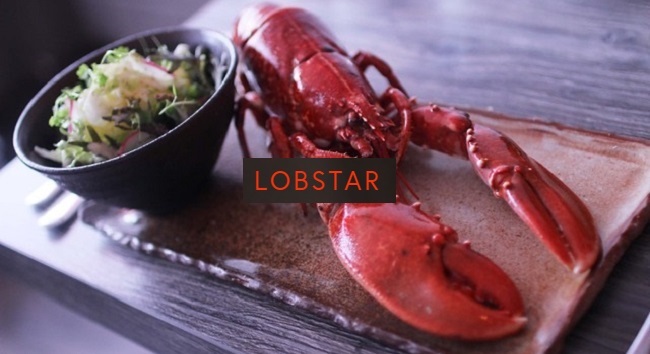 TheTaste and Lobstar are offering you a 3 course dinner with a glass of wine for two people for only €70.